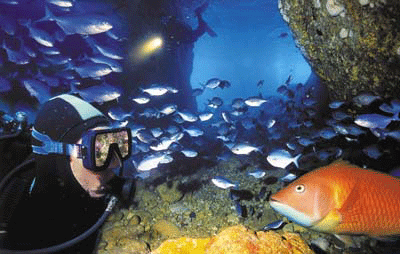 The Poor Knights Islands are an internationally recognized marine and wildlife reserve 23km off the Tutukaka Coast. The islands’ 11 million year old volcanic origins provide myriad spectacular drop offs, walls, caves, arches and tunnels, all inhabited by an amazing array of underwater life. 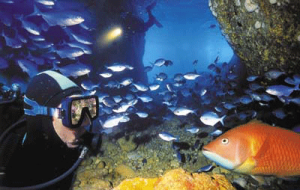 Diving and snorkelling trips depart daily to the Poor Knights Islands from Tutukaka Marina. Whangarei Coastal Commuter operates a dive shuttle service between Whangarei and Tutukaka.